Brazilian jiu-jitsu is a martial art and combat sport system that focuses on grappling and especially ground fighting. Brazilian jiu-jitsu was formed from Kodokan judo ground fighting (newaza) fundamentals that were taught by a number of individuals including Takeo Yano, Mitsuyo Maeda and Soshihiro Satake. Brazilian jiu-jitsu eventually came to be its own combat sport through the experiments, practices, and adaptation of judo through Carlos and Hélio Gracie (who passed their knowledge on to their extended family) as well as other instructors who were students of Maeda. Since its inception in 1882, its parent art of judo was separated from older systems of Japanese jujutsu by an important difference that was passed on to Brazilian jiu-jitsu. Mitsuyo Maeda was one of five of the Kodokan's top groundwork experts that judo's founder Kano Jigoro sent overseas to demonstrate and spread his art to the world. Maeda had trained first in sumo as a teenager, and after the interest generated by stories about the success of Kodokan Judo at contests with other jujutsu schools that were occurring at the time, became a student of Jigoro Kano. Maeda left Japan in 1904 and visited a number of countries giving "jiu-do" demonstrations and accepting challenges from wrestlers, boxers, savate fighters and various other martial artists before eventually arriving in Brazil on November 14, 1914. Pedro Sauer earned his Black Belt from Helio and Rickson in 1985. Long recognized for the superior technical efficiency of his jiu-jitsu, he then began his career as an instructor in 1986 when asked to teach with an organization known in Brazil as Corpo/Quatro (Body of Four) where he taught and continued his training under renowned jiu-jitsu instructors Alvaro Barreto (who is a red belt master under Helio Gracie). 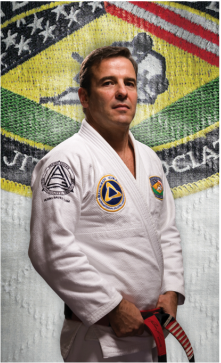 After moving to Utah in December of 1990, he taught as one of only two non-Gracie black belts under the Gracie Jiu-Jitsu Academy (run by Rorion and Royce Gracie). In October of 1996, he became an official representative Black Belt Instructor under the Rickson Gracie American Jiu-Jitsu Association. The jiu jitsu community is a widespread network and through that Rob Magao met Professor Keith Owen from Idaho in 2008. Keith was a black belt under Pedro Sauer and came to Connecticut for a seminar. The Bushido Academy was looking for a new association and The Pedro Sauer Association seemed like it was the right puzzle piece that would help complete the picture. We have flown the banner of the Pedro Sauer Association proudly since and have had many black belts be promoted under the watchful eye of Pedro Sauer himself.